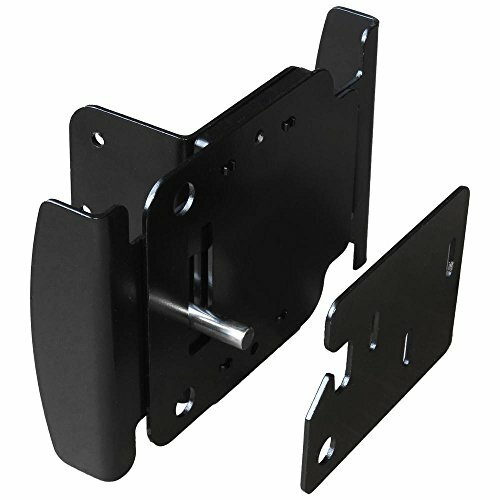 Upgrade your gate with the Fenix Easy Open Gate Latch. A simple push or pull activates the latch mechanism from either side. One-handed operation keeps a hand free for all those things you need to carry. Functions as a handle and a latch - no need for a separate pull. May be padlocked for extra security. Installs in minutes. For use on wood, metal and vinyl gates 1-1/2 in to 3 in thick. Reversible for left or right hand gates. Slots on strike provide easy adjustment for gate sag. Functions as a both a handle and latch Works with padlocks with shackles up to 0.375 in.